One of the best times of year for most people is the holiday season. From Thanksgiving to New Year’s Day, the last few months of the year months are filled with holidays. We all indulge in ton of food, shopping, and celebration. 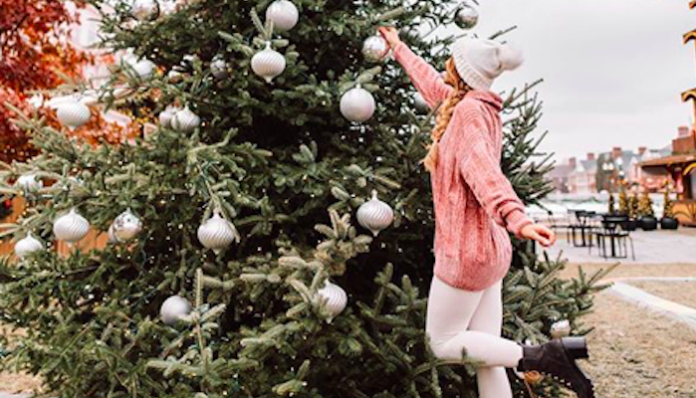 While it’s easy to get caught up in all the hustle and bustle of the holidays, there is one thing many of us always hold on to: our traditions. Everyone typically has their own traditions, and it can be difficult to let them go. There are memories we build around them, which keep us grounded. The older we get, the more important these habits become. In addition to making the holidays memorable, these traditions typically serve a higher purpose. No matter what else is going on in our lives, the one thing that is always a constant is the traditions we hold so dear. The holidays are crazy, but we know we can always count on Thanksgiving dinner and opening gifts on Christmas morning. We know where we will go and who we will see. We thrive on this routine because it brings a sense of security. While some traditions may seem simple and insignificant, once they are gone, we miss them. Traditions help us feel connected. No matter where you are in life or how far away you are, traditions help connect you with your family. Whether you travel home to be with your family or carry on some of your traditions toyour new family, these habits help us feel connected. We thrive off of a sense of unity. Traditions that are specific to you and your family can bring you closer together. They give us a sense of pride in ourselves and our families, no matter what else may be going on in our lives. Family connections are clearly very important. What you choose to carry with you into your own family is up to you. However, traditions are an important part of who we are and how we see ourselves. As we look back on what our families did for us, we merge those traditions into our new family and create traditions of our own. Most families have traditions, but they are all different. The way you do things may be different from the way your parents did. Traditions build a bridge to the past. Traditions bring back so many wonderful memories. From Christmas morning breakfast to New Year’s Eve parties, there are so many things we remember for the holidays. Traditions act as a bridge between generations. The fact that we continue traditions year after year shows that in each family, they matter. When those traditions go away, it is difficult to keep going. We no longer feel as connected to the past as we once did. Traditions during the holidays are important. They allow us to remember all the years before, and they provide a sense of security. With all that goes on in our lives, it is nice to know that we have traditions to hold on to. Without traditions, holidays are just harder to celebrate. They become more stressful. We find peace and comfort in traditions, and they help the holidays run a little more smoothly. Holiday traditions are part of what makes these colder months so much fun.